And a rabbit in the wood. You may still be very good. 1. Heat oil in a large Dutch oven over medium heat. Add onion and carrots to pan; cook 10 minutes, stirring frequently. Stir in salt, pepper, and ginger. 2. Add 2 cups water and broth to pan; bring to a boil. Cover, reduce heat, and simmer 25 minutes or until carrots are tender. Remove from heat; cool. 3. 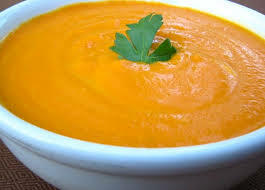 Place half of carrot mixture and 1 tablespoon cream in a food processor or blender; process 20 seconds or until smooth. Pour pureed mixture into a large bowl. Repeat procedure with remaining carrot mixture and 1 tablespoon cream. Return mixture to pan; cook over medium heat until thoroughly heated.